Matrix Support has the skills to solve all your financial tasks in, among other things, financial reporting, accounting, accounting, tax, VAT and taxes. We always adapt our services to your needs – and we want to deliver a complete solution to all customers. Whether your business is newly established, well-established or everything in between, we can help you better control the economy. Solve the fixed financial tasks that are typical to a company of your size. 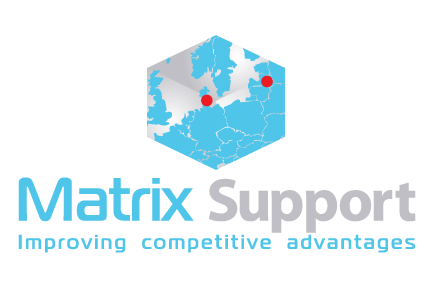 Matrix Support helps both national and international companies – and we can also help your business. We can take care of or take over one or more of your business departments at a fixed price. Outsourcing smaller parts of the business will give you a unique opportunity to keep 100% focus on your core competencies and therefore create a competitive edge. By outsourcing the tasks beyond your core competencies to Matrix Support, you will at the same time be guaranteed a cost minimization. Your business will remain competitive. Should we sit with you or help from our office in Aalborg? We offer both deployment and outplacement schemes. You choose which solution best suits your wishes and needs. Read more about implacement and outplacement here or contact us directly to find out what’s best for you.